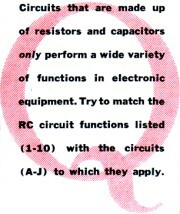 Having worked around resistors and capacitors for more than four decades comes in handy when presented with 'simple' quizzes like this one that appeared in a 1963 Popular Electronics dealing with RC circuits. Still, there is always some trepidation involved when being subject, even voluntarily, to a test of any sort, regardless of whether you are fairly confident that it will be a lead pipe cinch, a cake walk, child's play, so to speak. Even if nobody else will bear witness to your effort, you would feel like a real moron if you missed even one of those simple questions that anyone with your level of experience should get right without even having to think about it. Such is the irrational fear I have when taking these quizzes prior to posting them on RF Cafe. I have always been honest about the results, and there have been instances where I missed a couple that I shouldn't have by all rights (or wrongs). This time, however, Lady Luck was with me and I aced it. 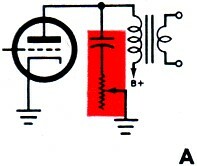 If you're not accustomed to seeing those strange round schematic symbols with a mix of solid and dashed horizontal lines within, those are vacuum tubes. 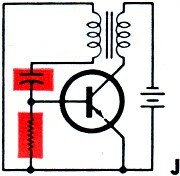 Just mentally substitute your favorite solid state amplifier like a bipolar of a field effect transitor. 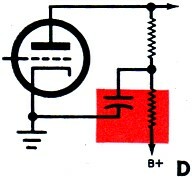 Circuits that are made up of resistors and capacitors only perform a wide variety of functions in electronic equipment. 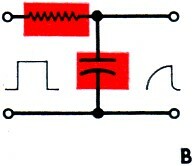 Try to match the RC circuit functions listed (1-10) with the circuits (A-J) to which they apply. 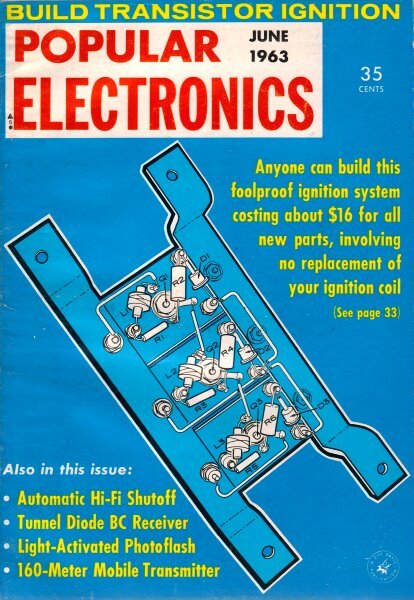 and not coupled to other stages via the power supply. 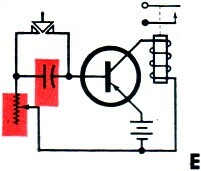 the amount of resistance bypasses an increasing amount of the highs to ground. 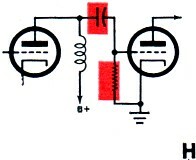 3 - G - A Differentiator is a high-pass filter which removes low-frequency components of a square wave. 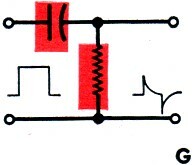 Capacitor charges very quickly and permits only short pulses of current through resistor. attenuation of low frequencies in disc recordings. 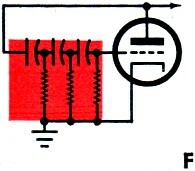 long-time-constant circuit, the capacitor charges and discharges slowly through the resistor. 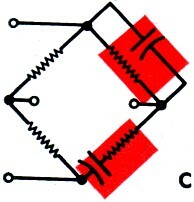 balance with the resistive arms to null the output signal at a particular frequency. 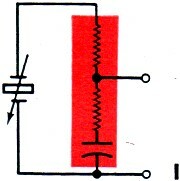 to resistor to pass the lowest signal frequency without excessive attenuation.